Beautiful Outlaw: Experiencing the Playful, Disruptive, Extravagant Personality of Jesus by John Eldredge, FaithWords (Hachette Book Group), 2011, 219 pp. A leader of my church passed this book along to me as something that opened her to a new understanding of Jesus, and moved her closer to Christ. I was intrigued and thought I might skim it, but ended up reading the whole thing. There were elements I applauded, parts to which I objected, and parts that also moved me in my faith. There was not much that was new or surprising, but I can see how it could be new to lots of people. Eldredge aims to strip away the religiosity and pious purity of our images of Jesus, and reclaim what he calls his “true personality,” his humanity. This is not a new project–many have attempted it before–but the aspects he highlights are solid, and it is always a helpful reminder. Eldredge emphasizes Jesus’ playfulness, especially in his interactions with the disciples. He imagines inside jokes and jocularity among “the boys.” He also develops aspects of Jesus’ fierceness, anger, cunning, honesty and humility. His Jesus refuses to be pastel-colored in a gentle Sunday School painting, which he refers to as “marshmallow.”(144) He wants us to be able to relate to this Jesus, and to be confronted by him. If I’m in the mood (which I was), I always find these kinds of projects interesting and illuminating. He is a fan of G.K. Chesterton, and quotes him identifying Jesus as “more human than humanity.”(48) Eldredge straddles a traditionally irreconcilable Christology here–he claims a pre-existent Christ, with foreknowledge of creation from beginning to end, yet the same one who must learn to walk, speak, and live in a human body. His theology is extremely traditional and conservative, which is what makes it so odd to me that he would take such a vindictive approach to what he calls “religion.” Religion, for Eldredge, is what prevents us from meeting Jesus as he truly is. We can only do that when we leave religion behind. While I understand that church culture or religiosity can white-wash or even obscure the powerful edginess of Jesus, he condemns all church practices as religious in this way, at the same time he is starting his own ministry (aka church) and existing well within orthodox theology shaped and preserved by–you guessed it–the church. He treats Christianity and the church as a straw man throughout, as though he has never seen any merit there. Where are you having a hard time with Jesus? Where is your struggle with him? Do you find it hard to believe he loves you? Or that he loves you because of what you do? Do you feel like you are always disappointing him? Is he mad at you? Ignoring you? Does Jesus seem like a hard man who wants you to work harder? I find myself right now having definite struggles with Jesus, and these questions helped me move forward in my conversation with him. Indeed. It’s because I have found the church to be all of those things, however imperfectly, that I do not share Eldredge’s anti-religious sentiment. 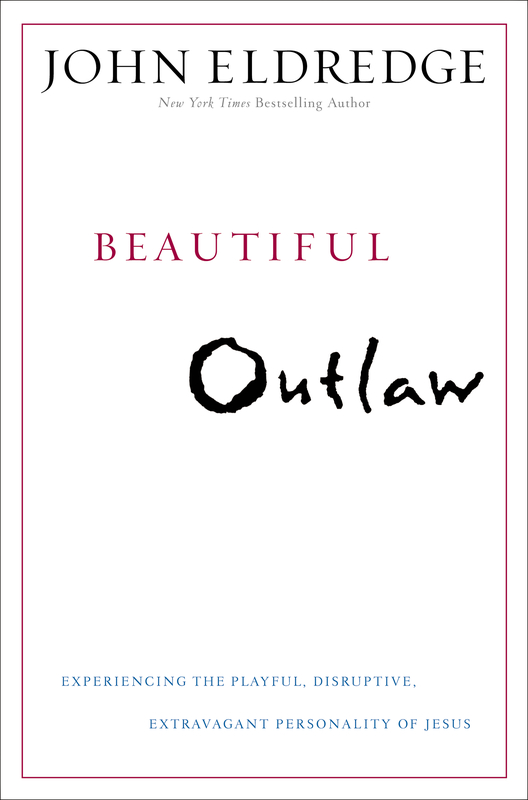 Beautiful Outlaw is a decent, readable introduction to Jesus beyond the Sunday School paintings, written to invite a devotional personal relationship with Christ. I would hesitate to share it, however, because of its anti-religious sentiments and straw man argument against the church. 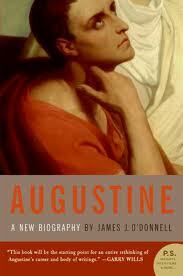 Augustine: A New Biography by James J. O’Donnell, Harper Perennial, 2005, 396 pp. I picked this up a few years ago to be a refresher on Augustine. I read Peter Brown’s landmark Augustine of Hippo back in seminary, but I wanted to revisit this epic and influential figure, his controversies and his theologies. O’Donnell’s book was on the non-fiction “summer reading” display at the local Barnes & Noble, so I figured it to be a fairly easy go. I was wrong, but I was richly rewarded by the effort this book required. Augustine: A New Biography is not an appropriate introduction for beginners. O’Donnell is clear to distinguish his project from so many others. While traditional biographies tell Augustine’s story through his writings and the public records of his major controversies–in effect, Augustine in his own words–O’Donnell invites the reader to examine what Augustine’s carefully crafted words leave out. What emerges from O’Donnell is a counter-narrative to the traditional Augustinian biography. It is not an open conflict with the stately portrait of the struggling author of the Confessions and vociferous defender of the faith against heretics, but more like the counterpoint that runs beneath that main melody. As such, O’Donnell assumes a fairly sophisticated familiarity with Augustine’s traditional biography and catalog. I found myself turning to Wikipedia to remind myself of the various stories and heresies to which he regularly alludes, and even had to chase down a few vocabulary words from time to time. O’Donnell’s writing is an exercise in cleverness, and it does not follow a linear timeline or provide a basic outline. He regularly includes imagined letters, made-up words, and anachronisms as tools of revelation. He invites the reader into a hall of mirrors where he shows Augustine in various reflections and leaves you wondering which one is the distortion and which is the true picture, until you realize that all are equal parts accurate and misleading. Like the end of the hall of mirrors, you leave the biography amused and entertained, but also aware that the reflections have revealed both flaws and beauty marks you had not previously noticed. It is not a place to go for encyclopedic information, but what O’Donnell has created is brilliant and beautiful. The Augustine that emerges in his portrait is the man behind the curtain of his bold, confident writings. O’Donnell asks, in a postmodern way, why Augustine was so insistent on various points. What was he trying to conceal? Why did he want this version of his story to survive against others? O’Donnell finds answers by quoting more frequently from Augustine’s interlocutors than from the man himself. They offer insight into how Augustine was viewed in his own time, and they interacted with the man himself, not the voice in his writings. The picture that emerges is more changeable than his immutable words, but it is also more pastoral. Augustine’s life’s work was not writing theology for the ages, but holding together a church full of squabbles, attempting to bring about a vision of all believers in catholic unity (a unique contribution from Augustine), all while negotiating imperial politics and the financial stability of the church at Hippo. This version of Augustine is far more human and relatable, in both his strengths and weaknesses. While I would not recommend this as easy reading, or as an introduction to Augustine’s life and times, Augustine: A New Biography is well worth the endeavor. Its perspective is unique and compelling, and unmasks Augustine in a way that leaves you wanting more of him. I have removed Augustine of Hippo, the Confessions and City of God from my shelf, and added them to the pile of things marked “to be read.” Rather than feeling satisfied with an Augustine refresher, this book revealed just how much more there is to contemplate, and made me want to do so.